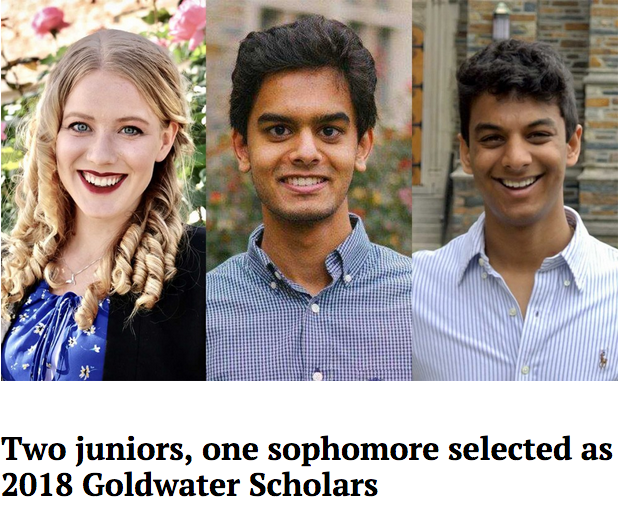 DukeEngage-Argentina 2016 alum, Shomik Verma, selected as a Goldwater Scholar! Congratulations to DukeEngage-Argentina 2016 alum, Shomik Verma (pictured above on right), who was featured in Duke Today as a Goldwater Scholar. “Verma is the president of Duke Energy Club and vice president of Duke Smart Home, which he will be a co-president of next year. He is also a part of Duke Electric Vehicles and is president of an Indian classical music club. Verma is part of the class of 2019.